The light twist-lock carabiner in futuristic titan optic provides the perfect connection between harness and glider. U-Turn develops the carabiner specifically for the paragliding sport, the geometry between risers and harness suspension is optimized accordingly. The modern rib-design in combination with the distinct form offers maximum breaking load at minimum weight. The simple twist-lock locking device in red/green anodized layer offers high safety with easy functionality. As first manufacturer U-Turn introduced the left/right color-code-standard as design element also at the harnesses. 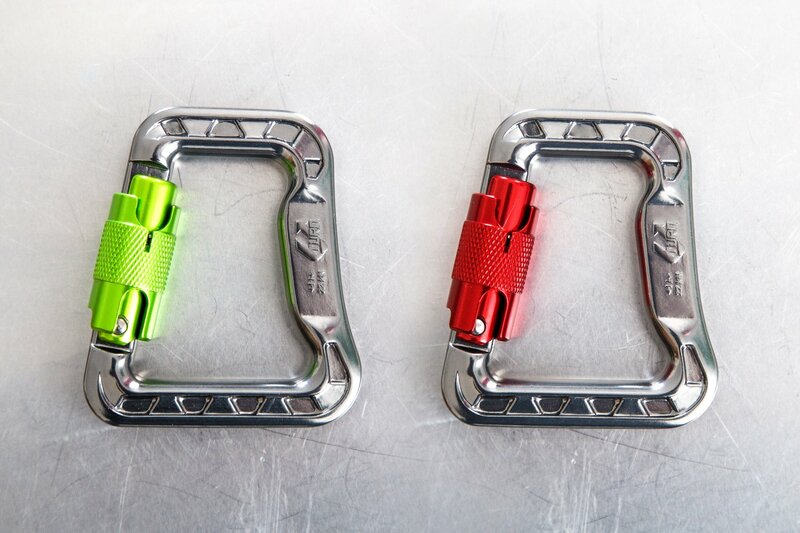 As logical conclusion the light carabiner with red and green lock offers the integrated addition of the Color Code Connection system. Besides providing a consistent overall picture of all U-Turn components, it also simplifies the orientation when mounting the risers at the take-off site. The carabiner offers a light and very reliable connection with a breaking load of 22 kN . 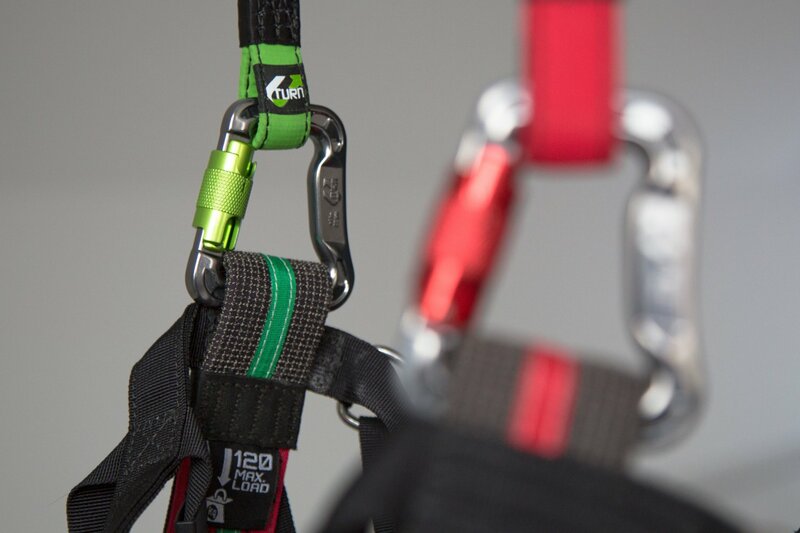 Especially for harnesses without color coding the carabiners are the ideal supplement to integrate the Color Code Connection system. 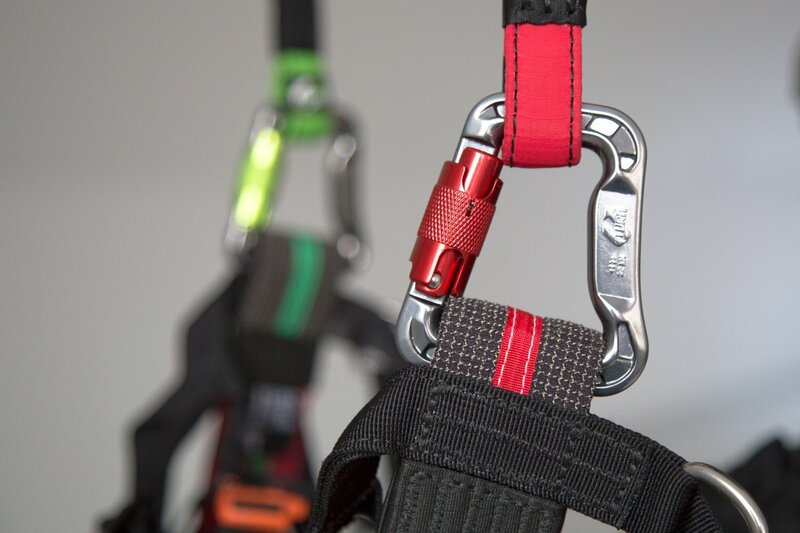 The carabiners are available as of now individually or in a set and are used in the U-Turn harnesses.